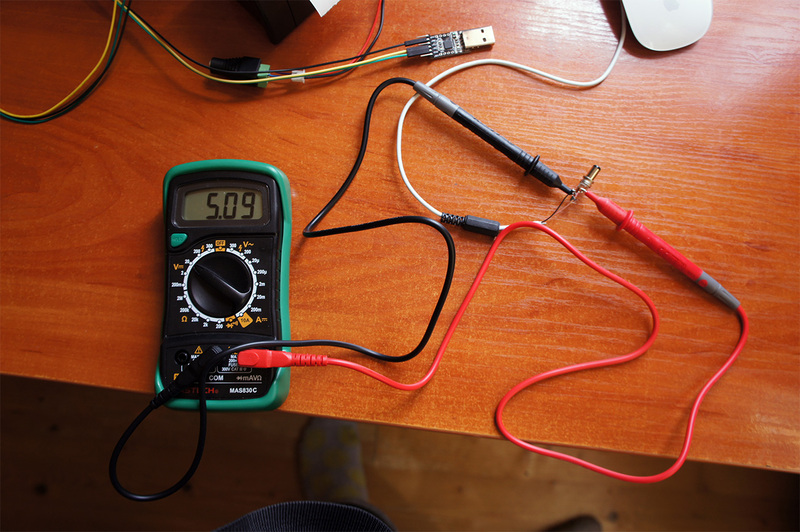 5-12V 2Amps power supply – you can buy one from Adafruit, or make your own, but more on that later. 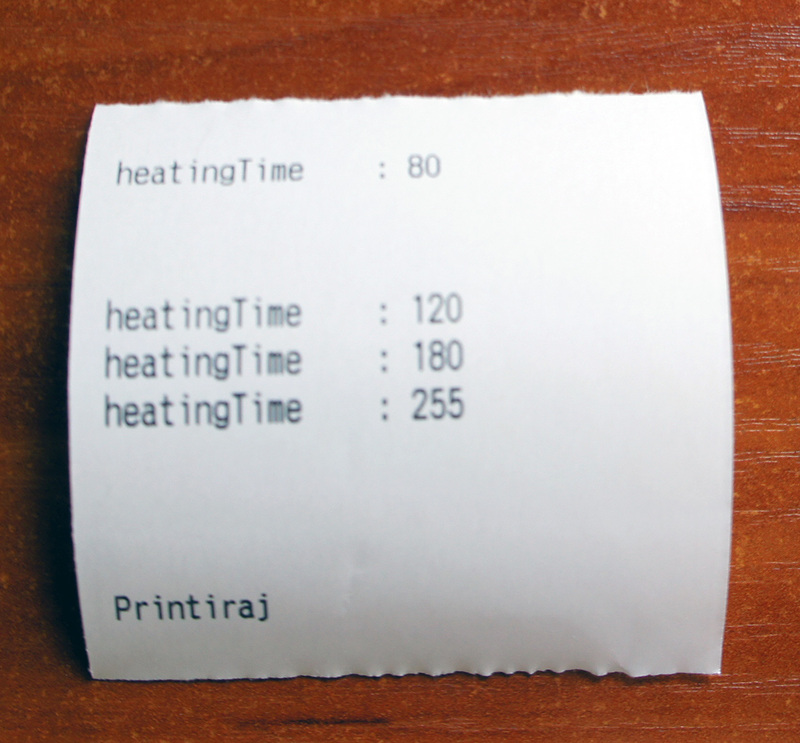 Thermal paper – 5.56cm wide. Very common one, can be bought from any office supplies store. 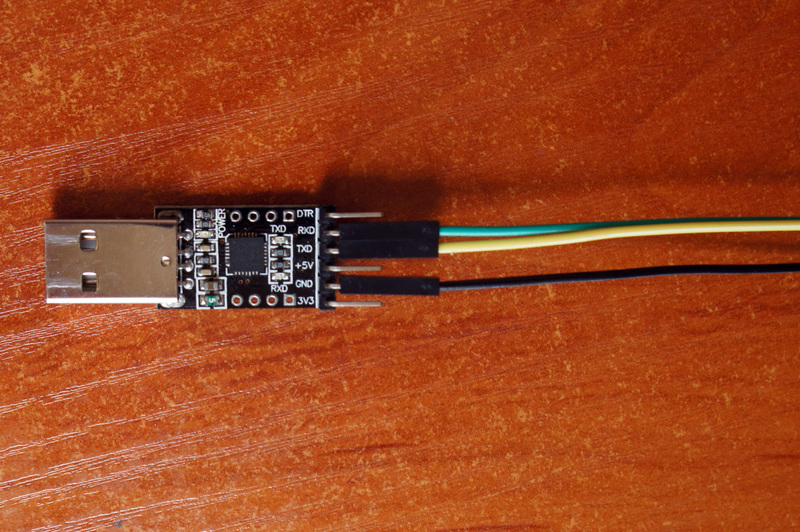 Serial to USB ( UART ) board – you can buy one from Sparkfun( FTDI is good option ). I already had the CP2102 USB to UART Bridge controller by Silicon Labs, so I’m using this in the tutorial. You need it to connect the printer to the USB of the computer. The printer can be connected to Arduino or Raspberry Pi without it, but I prefer to develop on my iMac and use the Raspberry Pi just as production board, so being able to connect the thermal printer to my iMac/Macbook comes in handy. or you can just use ready usb to DC cable. Many phone charger have output of 5V/2Amps, but USB from a computer is working, too. My iMac outputs just 0.9Amps to the usb, but it is enough to power the printer. 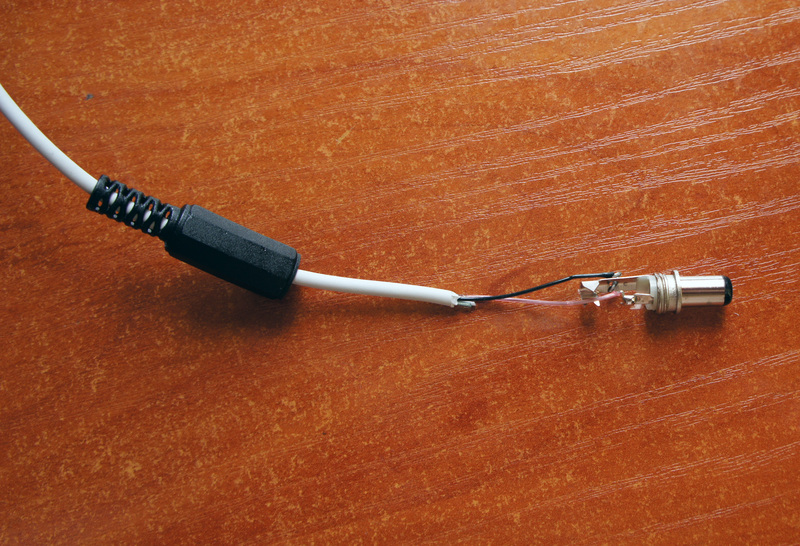 If you’re creating your own cable, always measure with multitool if the cables are soldered properly. We’re ready to power the printer. The printer comes with two sets of cables: red and black for the power and black, yellow and green for communication. Connect the red and black cables to the female DC power adapter. If everything is working, after connecting the female and male power adapters, green light should blink on the printer. Disconnect the power, press and hold the printer button, then connect the power ( while still pressing the printer button ) and it should print system information – examples of different charsets, operating degree, voltage and most importantly – the baudrate ( should be 19200 ), which will be needed by the nodejs. After successfully running the printer, connect the black, yellow and green data cables to the USB2UART bridge. The black wire should go to ground, the green in RXD and the yellow in TXD. – to get list of available serial ports. If you see something like /dev/tty.SLAB_USBtoUART, you’re ready to go with NodeJS. 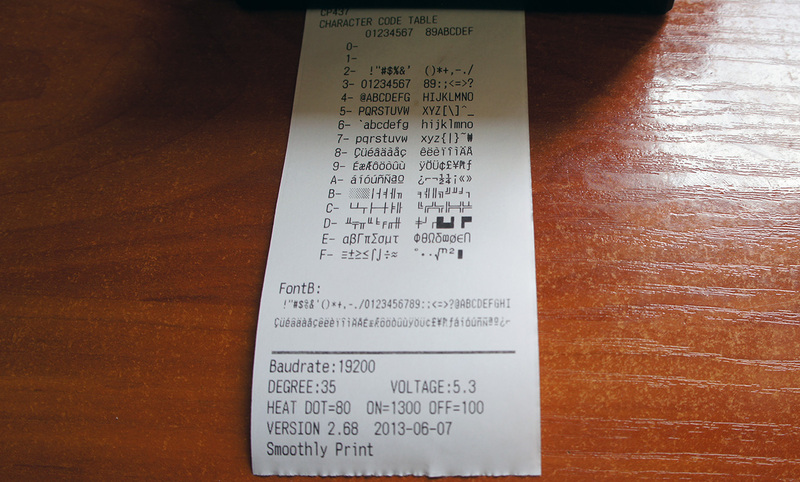 Congrats on printing cyrillic chars with Adafruit’s thermal printer. It’s fun and you can do a lot of creative things with it, but there are some gotchas. Out of the box, you don’t have proper words break, so you have to write our own. The ThermalPrinter library includes images printing, but its broken, so I’m writing my own. Web pages can be printed, but in a hacky way – by creating a screenshot of the page at 384px width and then feeding it as an image to the printer. I’m currently working on writing a parser that takes certain HTML tags and CSS Styles and converts them to proper printer commands – so you can easily pass html and have it printed out.